I know I announced my intention to “shop my studios” for Christmas gifts this year, but, there are always the hostess gifts and the stocking stuffers and the one last thing needed to round out the boxes to be mailed. 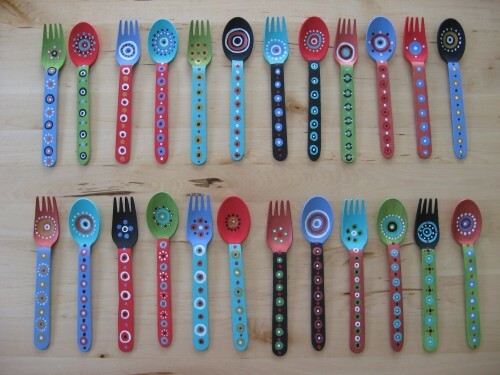 They are useful but decorative too. 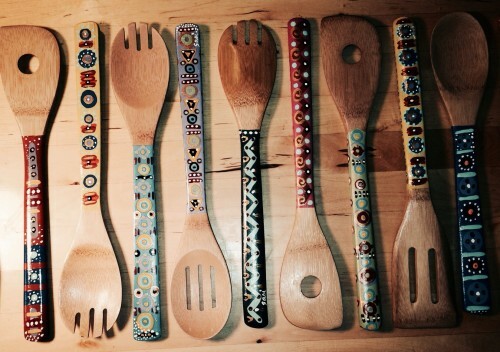 I bought a bunch of bamboo kitchen utensils and then painted their handles in a variety of colorful patterns. New work, but not exactly a new inspiration. There’s nothing wrong with revisiting a good idea. 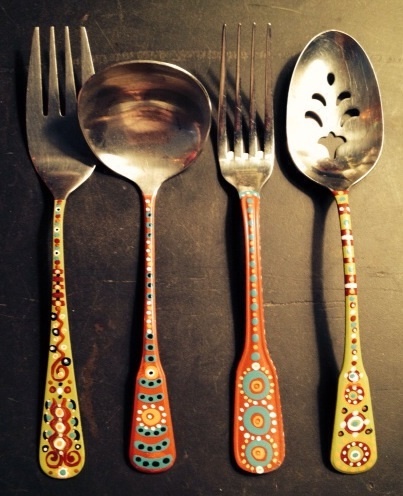 One year I painted stainless steel serving spoons and forks using the acrylic that’s intended for painting on metal. I kept a few of those for myself. 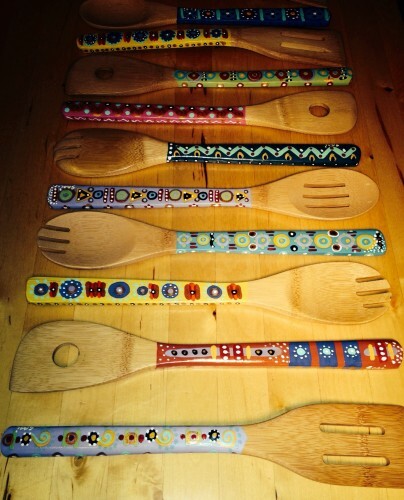 Another year I painted a couple of sets of bamboo spoons and forks. All of those found new homes. Tonight is the TVAA Kringle Mingle and we’re having an art exchange where you bring a wrapped piece of art you’ve made, and go home with one made by another artist. Somebody’s going to get these two bamboo utensils, in this wrapping, tonight. I’ll show you what I get, tomorrow! Jingle, jingle!